Immaculate One level Ranch w/Bonus up. One owner, 4 bedrooms and 3 full baths, 2 bedrooms each wing of home w/impressive 2838 sq ft. 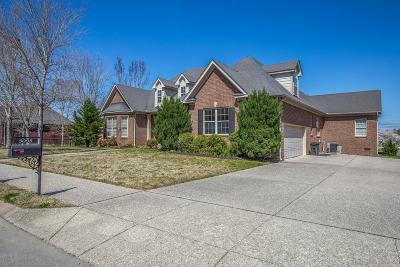 Flowing hardwoods and tile floors through out, vaulted ceilings, decorative tray ceiling detail, 8 ft doors, Large Master suit with Spa Bath, double vanities, entertaining kitchen, spacious pantry, large eat in area, dining and spacious laundry area. Private bonus up with 2 car side garage. Covered front and back porch.